If you're at familiar with the Mendelssohn Choir of Pittsburgh, or Mr. Small's Theatre, you would never expect to see the two mentioned together. 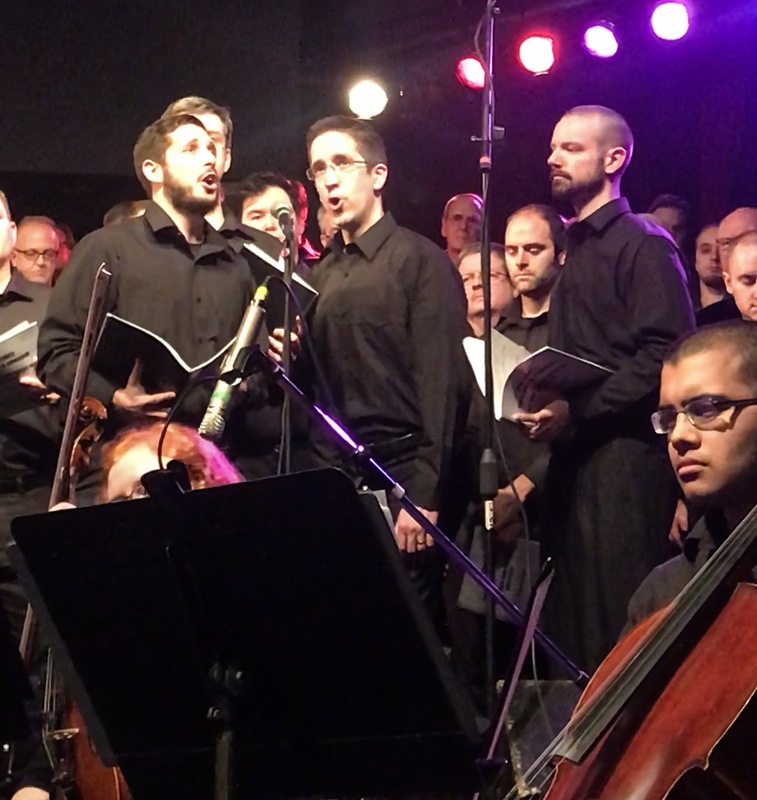 The Mendelssohn Choir is Pittsburgh's classical choir, and Mr. Small's is an old Catholic church turned concert venue - not typically where the Mendelssohn performs. 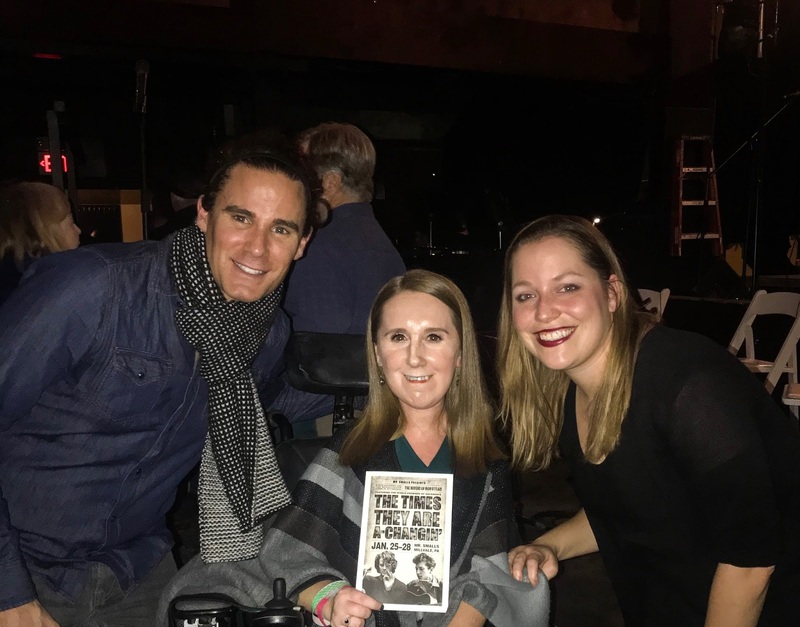 But this weekend, Mr. Small's is where they were found, for "The Times They Are A-Changin': The Words and Music of Bob Dylan." There are two reasons I was planning to go to this concert as soon as I heard about it. The first is that one of my best friends has been singing with the Mendelssohn for a few years now, and she kept telling me that she really thought I would love this concert. The second is that the arranger of this show, Steve Hackman, also arranged the FUSE show I saw (and loved!) with the Symphony and talked about here. The show absolutely lived up to, and even exceeded, my expectations. The first half was filled with some other Hackman mash-ups (like a great Hallellujah/Alleluia mix) and some other pieces, including one in Spanish that used a piece of sheet metal as an instrument to sound like rain, which is really did. The second half was where the choir took on Bob Dylan, and it was amazing. I'll be honest and admit that going into the show, I didn't think I really knew many Dylan songs. I knew more than I thought I did, but I was even into the ones that I didn't. You could tell that the choir was really enjoying themselves, and the songs were such a great twist on Dylan's music. I haven't been able to get "Tangled Up in Blue" out of my head since Saturday night! It was also fun to see the Mendelssohn perform at Mr. Smalls, which they actually sold out on the night I went! I will say, I do wish that Mr. Smalls was more responsive, ahead of time, about my accessibility questions. They were great in-person, though, and made it really easy and smooth for me to get everything I needed and get to my seat. I'm really glad I was able to experience the show, and I'm hoping that Steve Hackman comes back and teams up with the Mendelssohn again soon!